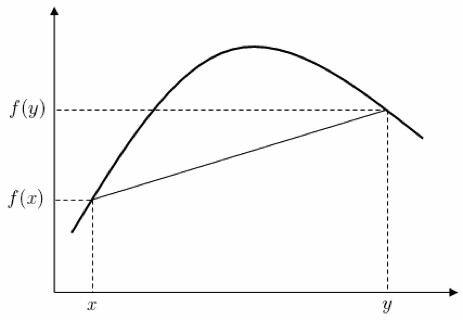 In mathematics, a concave function is also synonymously called concave downwards, concave down, convex cap or upper convex. This definition merely states that for every z between x and y, the point (z, f(z)) on the graph of f is above the straight line joining the points (x, f(x)) and (y, f(y)). Suppose that f is differentiable two times on an interval [a,b]. Theorem. (Concavity Test). 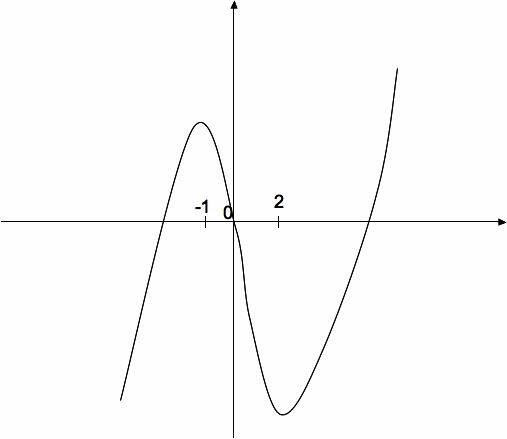 If f”’> (x) > 0 for all x on an interval [a,b], then the graph of f is concave upward on [a,b]. If f”> (x) < 0 for all x in [ a,b], then the graph of f is concave downward on [a,b]. Find when f is positive, negative, zero, not deﬁned. Find f’ and form its sign chart. Conclude information about increasing/decreasing and local max/min. Find f”(if it is possible!) and form its sign chart. Conclude concave up/concave down and inﬂection. Put together a big chart to assemble monotonicity and concavity data. Exercise 1. Take the cubic function and determine its graph. so f(0) = 0. The other factor is a quadratic, so the other two roots are . We can skip this step for now since the roots are so complicated. Showing that the horizontal and oblique asymptotes for the graph of f do not exist. and evaluate the sign of f”. (Step 5). Graph the function. Exercise 2. Let the quartic function and determine its graph.